Continuing great job on the discussions. I appreciate your responses and I learn from you. You raised most of the important points but let me summarize my view. Q1: How much automation of controls is best? When should they be introduced? Automated controls are ideal but not always possible or cost effective (e.g. complex scenarios or decision making). My experience is leverage automation where possible and easily implemented. As many of you pointed out ‘baking in’ the controls from the start is the easiest and most cost effective. However they will added to as an organization grows, changes, etc. Also, as the process matures and the external world changes you need to respond. Q2: Describe the character of the leaders involved in the Real World control failures we reviewed. The words you used I agree with: Arrogant, greedy, above control (‘absolute power corrupts absolutely’), self-interested, self-preservation response to pressures, etc. These leaders were not necessary ‘bad’ leaders – many were very effective in accomplishing the goals of their organization. However, good leaders can have ‘bad’ character. Creating a climate of controls need to balance (e.g. Sox type regulations) when this character drives illegal, immoral, or unethical behaviors. Q3: A person’s character is very crucial in the audit industry. How would you build your reputation and maintain a good ethical character in this industry? This is something you have to do yourself. I appreciate how Paul phrased it: Paul: ‘IT Governance: which is to “do the right thing, the right way”. Character is doing the right thing because it is the right thing to do.’ Integrity goes beyond the skills you have or knowledge of right things, but always doing the right things. This integrity requires personal courage to stand up and be independent in our ‘end justifies the means’ world. Q4: SAP’s GRC module may be important and effective, but can the cost of GRC be justified? You all outlined in some detail what’s in this functional tool. However in making the decision where to use you must weigh GRC’s costs vs. the cost of implementing controls other ways (often higher) plus the cost of not having needed controls or strength of controls in place. Thanks for all your work in the participation blog this semester. I trust it helped your learning. Also remember to: do the right thing because it is the right thing to do. Dow Chemicalspent eight years and $1 billion implementing a new enterprise resource planning system that didn’t deliver value as quickly as hoped, Chief Information Officer Paula Tolliver said. While the implementation officially finished at the end of 2014, Ms. Tolliver spent the first half of this year cleaning up messy databases, simplifying code and updating early parts of the implementation with features added later in the process. Along with scrubbing data and simplifying code, during the implementation Dow devoted about $15 million in “inefficiency resources” to keep things running while employees got used to working with the new ERP system. Part of that went toward employee-recommended changes, such as reducing the number of steps needed to complete some business processes, automatically populating data fields and improving reporting, Ms. Tolliver said. The company also invested in hands-on training for many of its employees. Dow’s example highlights some of the nuts-and-bolts challenges CIOs face as they try to update software and merge disparate data sets to find cost savings and new insights about customers. Whole Foods Market, Wal-Mart Stores and General Electric are all in the process of creating or consolidating ERP systems or integrating data across their companies. Dow’s new ERP system – ECC version 7 from SAP SE – processes 7 million transactions each day and counts more than 16,000 unique daily users. The upgrade consolidated four separate regional systems into a single global ERP. Dow also pulled in some inventory and records tasks that previously took place outside the system. A spokesman for SAP said the company does not comment on specific customer engagements. Putting Dow on a single system gave employees more visibility into how their work fit into the company’s broader operations. But it also showed where certain processes got stuck or needed improvement, problems which may not have been noticeable at a regional level. Across the world, “people were performing the same work differently,” Ms. Tolliver said. With much of the data scrubbing and code consolidation done, Ms. Tolliver now is trying to use the global view of Dow to simplify its core processes such as order-to-cash, supply chain and sales and operations planning. It’s part of the company’s “Dow 10.0” initiative, which aims to make it easier for customers to do business with the nearly 118-year old firm. Besides change management challenges, Ms. Tolliver said a major lesson is never to underestimate the importance of accurate metadata. The firm created a centralized enterprise data management team that maintains all of the metadata related to customers, vendors, materials and product coding, which has helped as Dow works to ramp up its use of analytics. 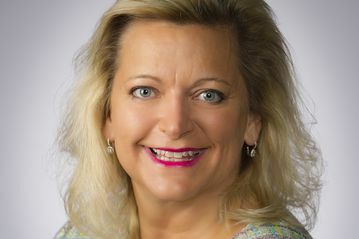 Last December Paula Tolliver, CIO and corporate VP of business services at Dow Chemical Co., talked with CIO Journal’s Steven Norton about her three biggest lessons from the company’s 8-year, $1 billion architecture and ERP implementation. 8 years, $1 Bn ERP System – Worth It? In a related post I copied an WSJ article that discusses a very large ERP system implementation at Dow Chemical. The system processes ~ 7 million transactions / day and counts > 16,000 unique daily users. Note: I was a member of this implementation team (i.e. a very small portion of the $1Bn paid my salary). Why would an implementation take this long and cost so much? Given the information shared – why would Dow Chemical company approve such a large investment? How much of automated controls should be desired? Is it beneficial to consider controls at the initial design phase or controls are introduced as and when needs arise? In the Real World Control Failures we’ve reviewed, describe the character of the leaders involved. Is it a root of the control failures? A person’s character is very crucial in the audit industry. How would you build your reputation and maintain a good ethical character in this industry?